Join up or switch your mobile phone plan to plus.net today and see how much you can save with this great Daily Mail promotion. From just £6 a month on a 30 day contract you can enjoy 1.5GB of mobile data, 1000 free texts and 2000 minutes of calls from an award winning, no-nonsense communications provider. Find out more by simply clicking the offer bar below or visit Plus.Net/mail1 online today. 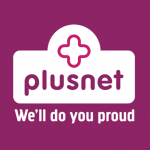 Plus.net offer a straightforward and honest service with a UK-based customer service 365 days a year. Find out more and join thousands of frugal happy customers with 80% geographic and 99% population coverage across the UK on a sim only plan with plus.net.